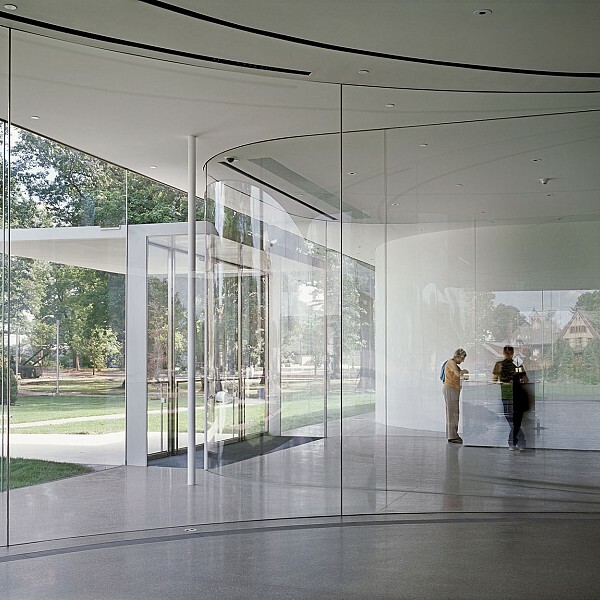 Description: This new 56,000 sf facility for the Toledo Museum of Art includes exhibition areas, a glass-making facility, glass-making instruction, food service, a multi-purpose room, and related function/ administrative areas. The design incorporates heat recovery and secondary cooling of perimeter glass walls from below-grade hot shop facilities. The heat recovery system dramatically reduces the facility’s energy consumption, and compensates for energy loss through the all-glass perimeter.